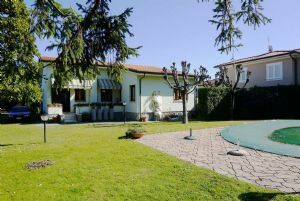 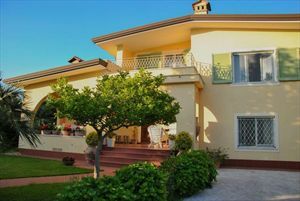 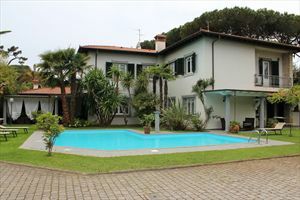 A few steps from the sea and the center of Forte dei Marmi, detached Villa disposed on two levels, both above ground, with a large garden, equipped with outdoor seating and garden furniture, with several parking spaces, two of which are covered, in monthly rental for the summer period. 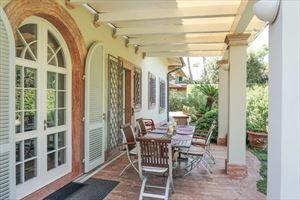 Ground floor: Entrance with adjoining living room with fireplace and dining room, kitchen with access also to the veranda, which is provided with dining room and living room table. 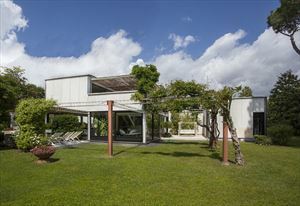 Warehouse, bathroom with shower and a double bedroom. 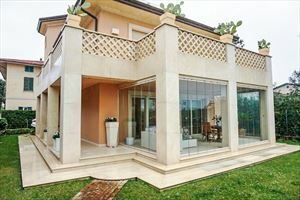 First floor: Master bedroom with dressing room and private bathroom with bathtub, study, master bedroom with private balcony, bathroom with shower and another double room with exclusive balcony. 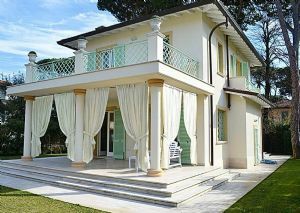 The Villa is also equipped with alarm system, air conditioning, electric gate, Wi-Fi and laundry area in the outdoor veranda.